Richardson has written over 150 short stories of which seventy have been published. He lives in Athens, Ohio with his wife, Joyce, who is also a writer. Two of his stories were nominated for Pushcart Prize in Fiction awards and several stories have placed in fiction contests. His work has appeared in: on-line and print magazines and in twenty anthologies. 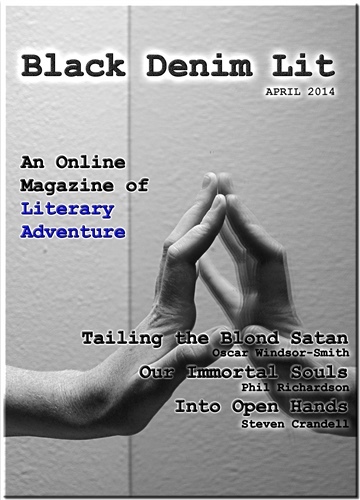 The BDLit Stories by Phil Richardson: “Our Immortal Souls” - Issue #3, Apr, 2014. He can be found on the Web, Goodreads and Amazon.